Hello everyone. 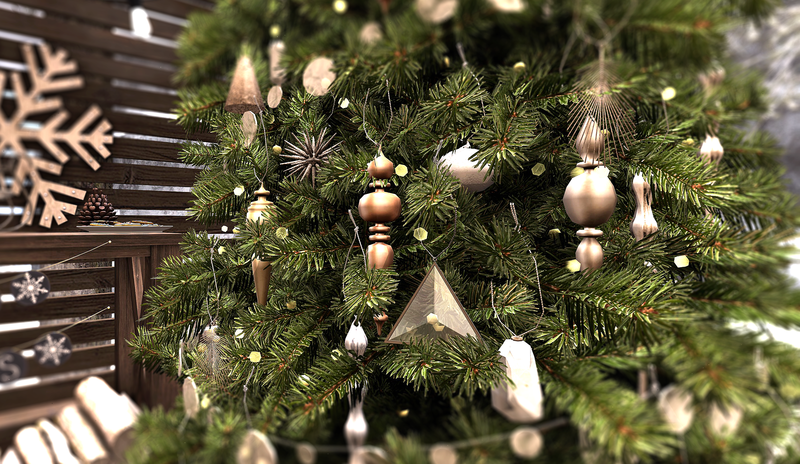 I’ll be pushing a few posts in the next days as I will be taking some time off for the holidays and then some. 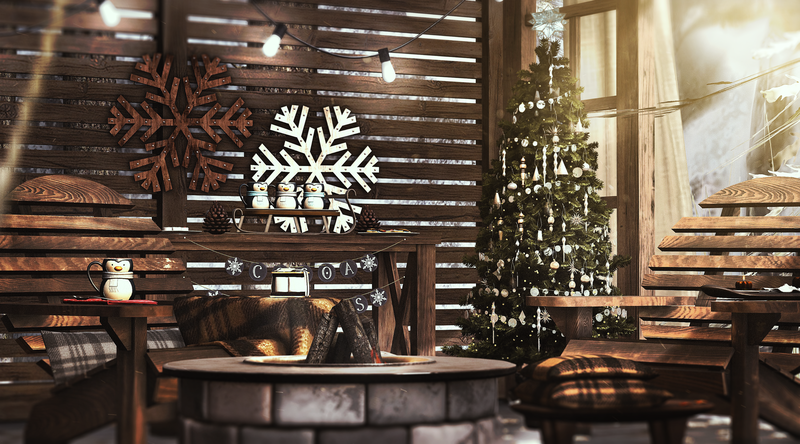 There is such an abundance of holiday decor this season in Second Life. The details are all below, though I want to point out a few things. The first is a new skybox by Onsu. Now I’m really not doing it justice as I’m just showing one room, and its a pretty size skybox. I will be showcasing it again, though I highly recommend you visit the main store to view it. You’ll love it. 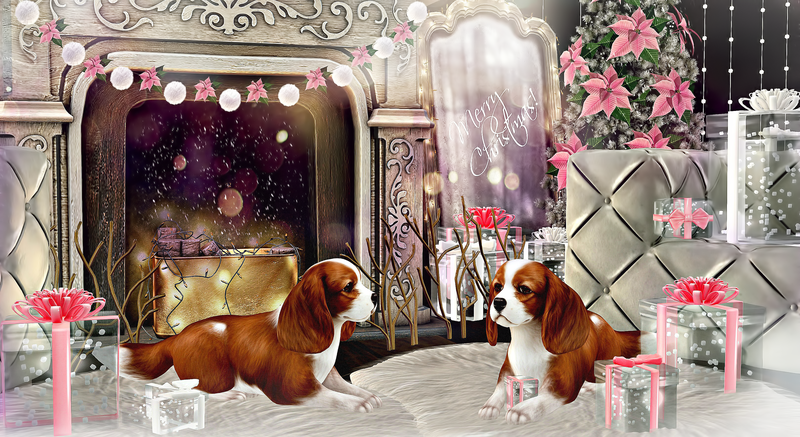 The mosiacs decor along with the deer wall decor are part of Simply Shelby’s 12 Days of Christmas Hunt at her store. Each item is 1L, but well worth it. Edit: I forgot to mention also that LTD has an ongoing “It’s an LTD Christmas” where you can get daily gifts. You have to be a group member of LTD to receive the gifts. Visit their website for more information. Morning everyone. The sun is peeking through my window hitting the side of my face as I sit here writing up this post. It sort of serves as a good reminder that there is always light in times of darkness. I know that I haven’t been writing all that much. In all frankness I haven’t been in the best of spirits lately. I’ll put it down to winter blues and keep moving forward until the lightness of spirit returns. I will still keep featuring awesome home and garden decor in the mean time. Though I may start spamming you here in the next day or so as I plan to take a holiday break very soon, but I want to show as much as possible until then. My scene today is comprised of so many wonderful brands, so take a peek below for all the details. Morning! I got to dash out the door here so I will leave you again in a rush. Showcasing some awesome decor from Architect that is available at the mainstore. Plus showing ornaments from MudHoney, available at Tannenbaum. Happy Sunday evening. I’m going for a second post today, just because I have plenty to show you in the coming days. Grab all the details down below on where you can find all the amazing stuff in the picture.